To build a customer base, your business must have unique identifiable traits. These identifiable properties are otherwise known as a brand. By consistently building your brand through placement on your products, advertisements and any other public interactions, your brand allows you to work on your publicity which not only increases sales but also allows for a higher added value. To build a successful brand, it is important to understand the necessary characteristics of a brand that you need to achieve. These characteristics are otherwise known as brand attributes. By fulfilling all of these brand attributes list, you can ensure that your business has a recognizable image that inspires trust. Ideally, you want your brand to be a sign of quality and innovation to motivate customers into choosing your business. Running a successful business is hard work, but it’s infinitely rewarding. Your constant hard work does not go unnoticed as it is sure to reflect on your product. Consumers appreciate a brand that is always striving for success. Consequently, your customers will have increased confidence in your brand knowing that you are always doing your best to maintain a standard. Likewise, your hard work also reflects on the quality of your product. When you are working hard, you expect the same from all of your employees. In order to motivate everyone to work hard, efficiency and quality become a reason. Employees are much more likely to work harder when they know that the improved outcome is appreciated by their employer. This ultimately leads you to producing products of the highest quality, setting a standard for your brand. When consumers see that you have set a high standard, they become much more willing to try your products. Furthermore, once they try your product, they are more likely to recommend it to others because they know that your quality is consistent so others will have a similar experience to theirs. This makes consistency one of the most essential of the brand attributes. It is recommended to start working on this one first as it positively affects all the others. A big part of success is to be constantly changing. Your business should not only be following trends, but making them. By developing your brand to be a market leader, you are able to retain a larger market share. 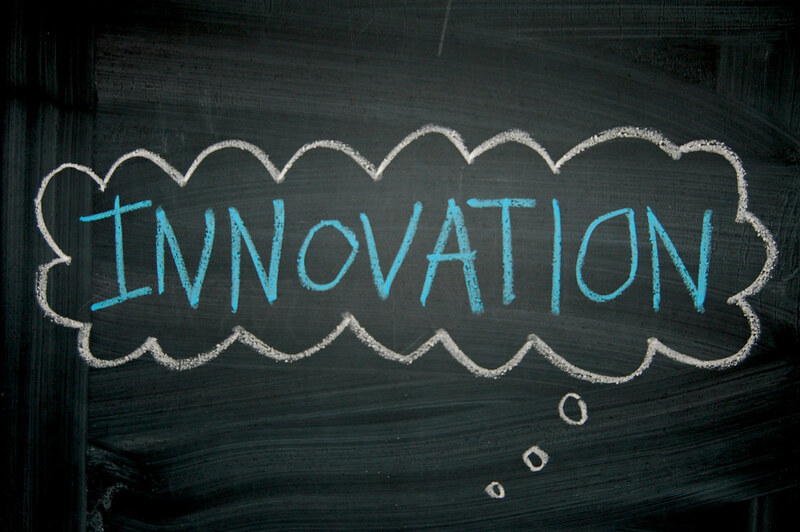 Embracing innovation opens up unique opportunities for you. By constantly innovating, you are faced with less competition while also creating an interest in your product. Innovation is an essential part of creating a unique identity for your business where your products will likely stand out as the “better option.” Research done in china has found that up to 90% of customers are willing to pay more for creative businesses. Consumers have become major supporters of creativity and your innovation is sure to be worthwhile. Competition is the driving force of businesses. Remaining competitive has become an essential part of maintaining your business. By considering the previous brand attributes, you’ll have already started on the path of remaining competitive. By working hard, constantly innovating and maintaining a consistent quality, customers will surely prefer your business over others. In order to further increase this gap, it is important to be aware of your direct competition to keep up with their campaigns and brand building. Marketing is the corner stone of any successful business. Studies have shown that constant exposure to your business’s brand increases brand recall. Essentially, a customer that is constantly exposed to your brand is much more likely to consider purchasing your product when they stumble upon it. This is why many businessess have focused on online marketing due to the massive exposure it provides for relatively lows costs. Make sure to check out our online marketing tips for establishing your brand online. There are certain criteria that need to be achieved when positioning your brand, let’s observe them. The aim of brand positioning is to ensure that your brand reaches the target customer. This can be done through consistent placement of your brand on all your products as well as in advertisements. However, there are some rules to ensure the efficacy of those placements. 1-Distinction: It is essential to make sure that your brand can be clearly distinguished from the competition. By creating unique logos, you can trademark them in order to prevent the competition from attempting to confuse customers by using similar styles. 2-Appeal to your niche market: Once you have chosen a niche, it is important to clearly indicate those appeal factors. Whether that be your conflict free sources or your local contribution to the community. In order to ensure that you are reaching your target customers, it is important to include these bits of information on all your products as well as in any marketing campaigns your are running. 3-Cultural acceptance: It is important to ensure that the services your business provides are appropriate to every culture you intend to cater to. The lack of cultural acceptance does not only mean the lack of sales but the generation of negative PR (especially online) which might discourage customers in other areas from using your business. 4- Financial viability of distribution: Sometimes it is just not financially viable to distribute to a certain area. This may be because of distance, local governmental restrictions or lack of a significant market. This is why it is important to focus on establishing your brand in your most profitable locations first before you worry about expansion. By considering these 5 main brand attributes, you can be certain that you are on the right track to establishing a strong brand. Having a strong brand means that your products will be chosen over the competition. Furthermore, by having consistent quality, customers are much more likely to recommend your products to the people they know. This ensures the growth of your company which is the ultimate goal of any business. For further insight regarding the development of your products, check out our product management guide.